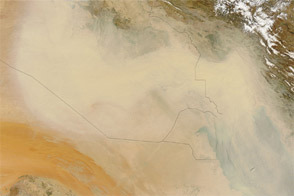 An early June dust storm stretched from northern Saudi Arabia into Iraq (to the north) and Kuwait (to the east). 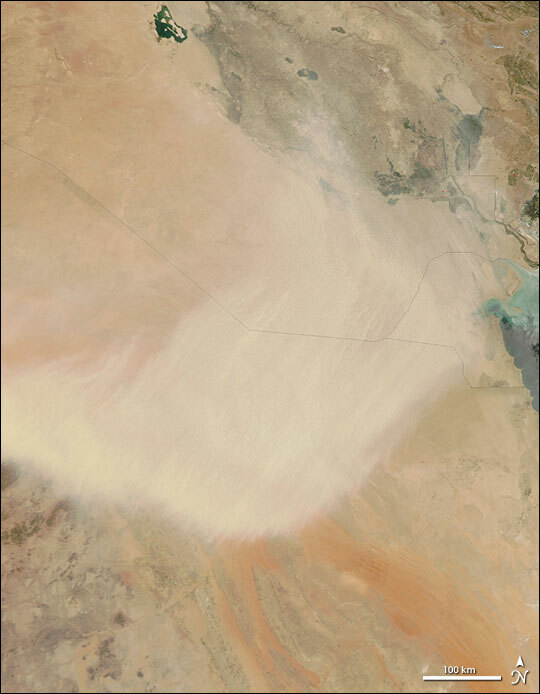 The Moderate Resolution Imaging Spectroradiometer (MODIS), flying onboard the Aqua satellite, captured this image on June 6, 2005. 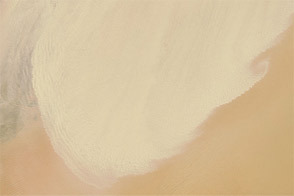 The storm appears in this image as a beige swirl curling up and toward the right. 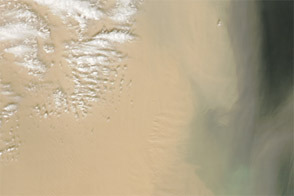 The dust partially obscures the view of the Persian Gulf at the far right of the image. 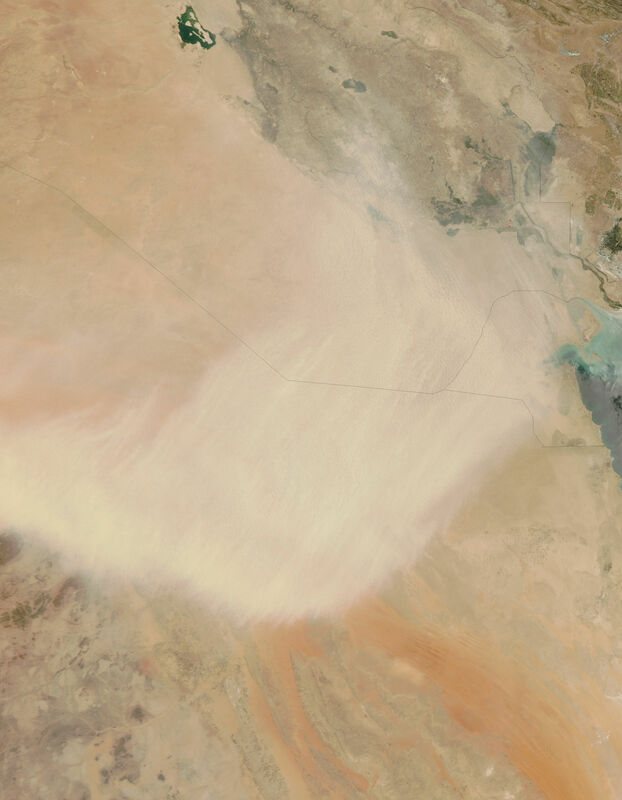 In the Arabian Peninsula’s hot, dry climate, dust storms are anything but rare. 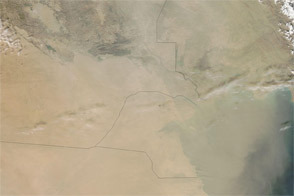 Saudi Arabia is 95 percent desert. Rub’ Al Khali, the biggest desert in the Arabian Peninsula and one of the largest sand deserts in the world, occupies southern Saudi Arabia. Closer to the borders with Iraq and Kuwait is An-Nafud Desert, whose sand dunes often exceed a height of 30 meters (100 feet). Added to these giant masses of sand are sizzling summertime temperatures and erratic precipitation. 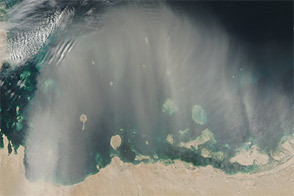 NASA image courtesy of Jeff Schmaltz, MODIS Rapid Response Team, NASA-Goddard Space Flight Center.